Pros: 1 Gb connection. Works with other variations of the Youkon chipset driver. Zero issues in XP. Other Thoughts: I did download another vendor's drivers after reading not to use the ones on the CD. Install was fast and flawless. Off loading the network processing made a noticeable improvement in my PC's speed. 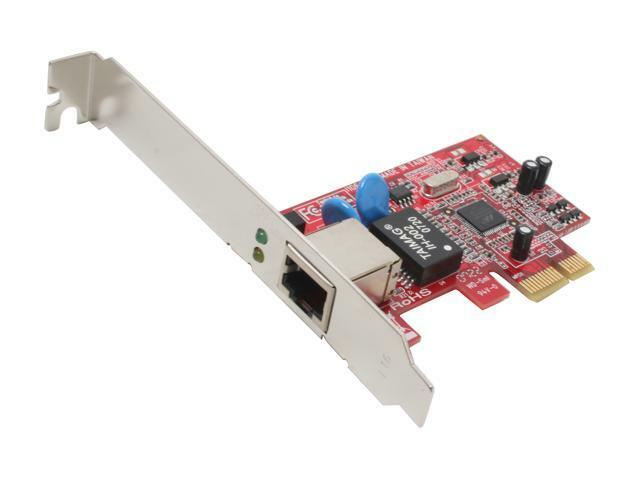 Pros: Small, inexpensive, includes half-height PCI bracket. Should be a nice card with a newer, working driver. Linux 2.6.24 or newer might work. Cons: Did not work with Linux 2.6.18 or 2.6.22 on Debian/testing AMD64, or Ubuntu gutsy (7.10) AMD64. It could not establish a link or transfer any data. Other Thoughts: NOT identical to older Marvell cards. This "rev 2" chip fails but I hear the "rev 1" chip works fine. Pros: same as pen120 which is known to work well with linux. same as r*sew*ll board (even looks 100% the same). both use 'sky2' linux driver.